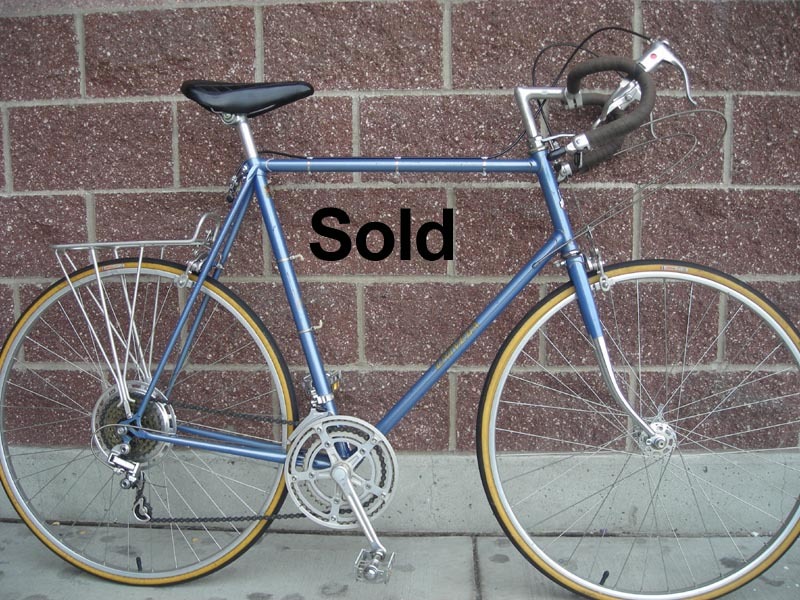 We sell Reconditioned, Restomod, Vintage, and Restored Bikes. We do not have a large selection but each one is unique and awesome! In our display cases you will find select vintage parts. 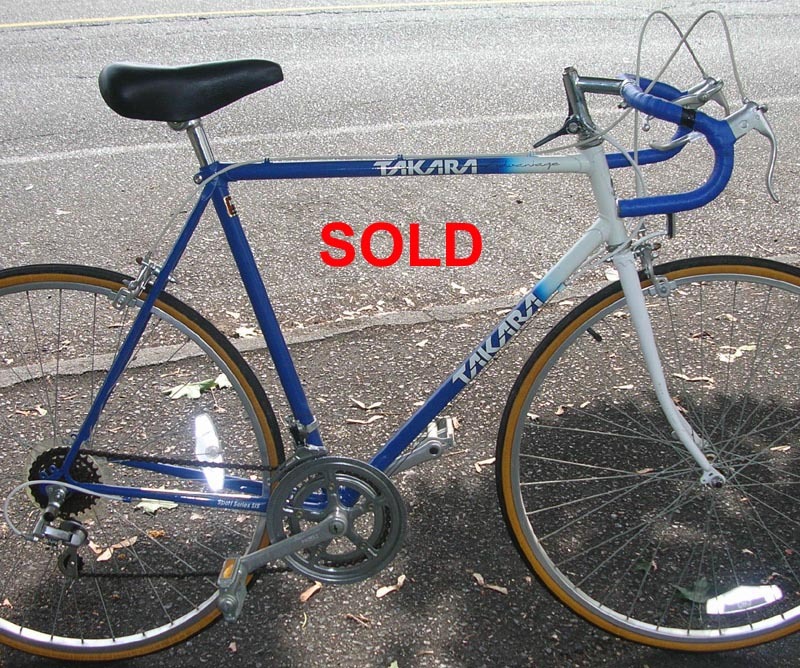 Aaron's Bicycle Repair does NOT buy used* bikes or parts. 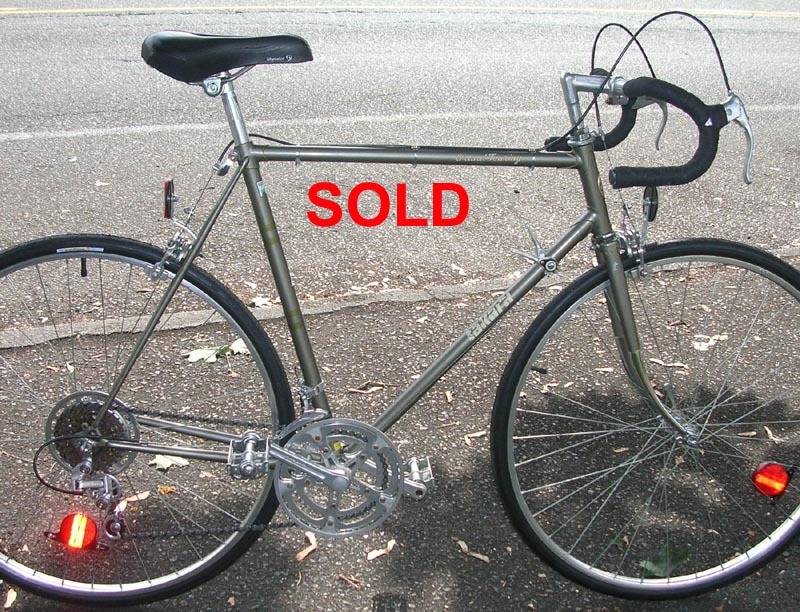 * There are about 5 pawn shops within 3 blocks of our shop and all have bikes, but we recommend Dave's Jewelry and Loan for the best selection of quality bikes. 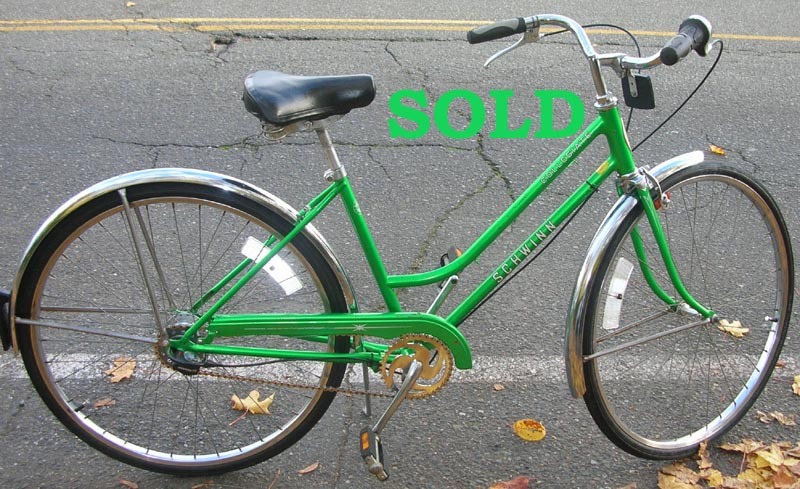 We do our Ultimate Tune-Up or Overhaul on each reconditioned bike we sell. Everything has been cleaned and lubricated. 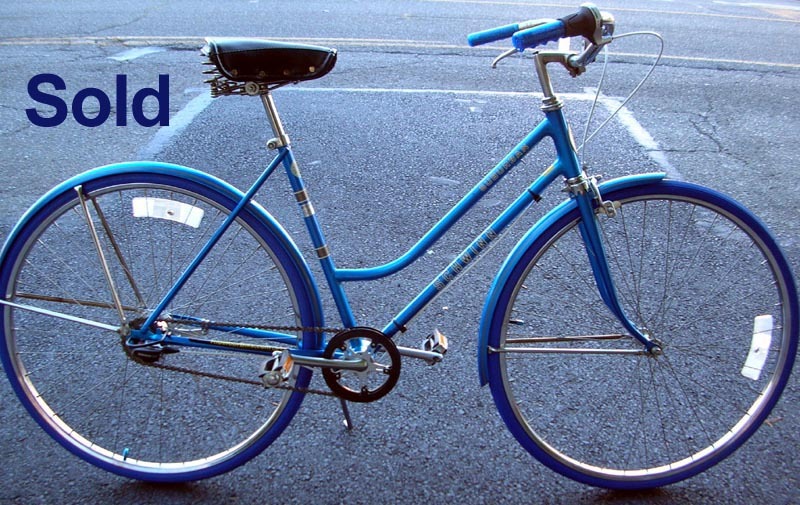 Cables, brake pads and usually tires have been replaced. 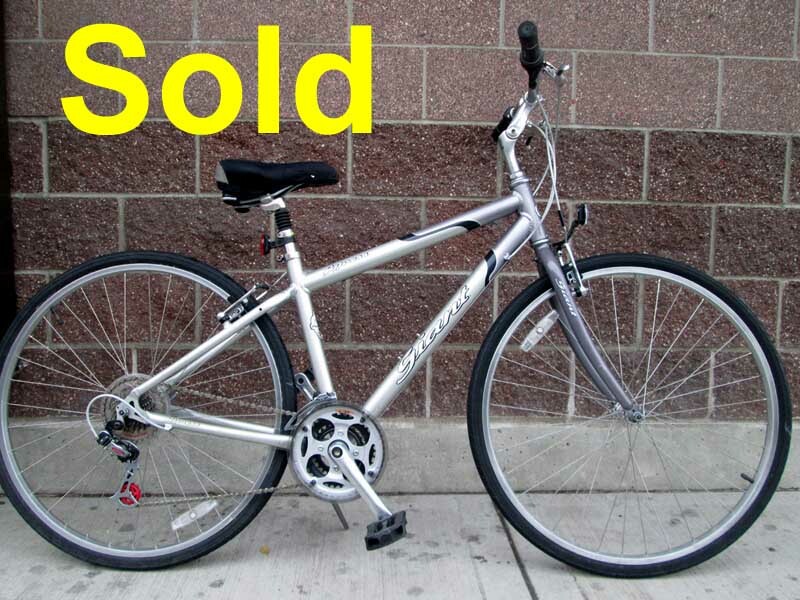 These bikes come with the same 90 day warranty as all our repairs! Bike is in great shape! Sturmey-Archer 5-Speed Rear and Generator Front to power the lights. Drum Brakes front and rear. Leather Brooks B-18 Saddle,Leather Grips and Bag. 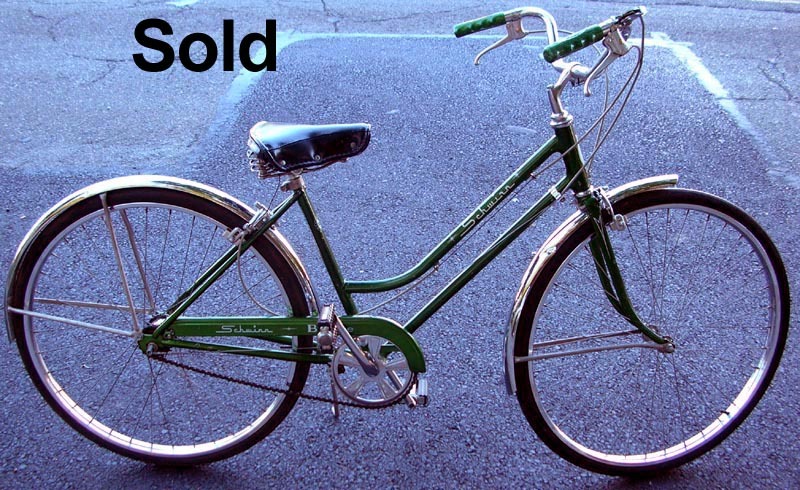 This bike was lovingly restored but suffers from lack of use. 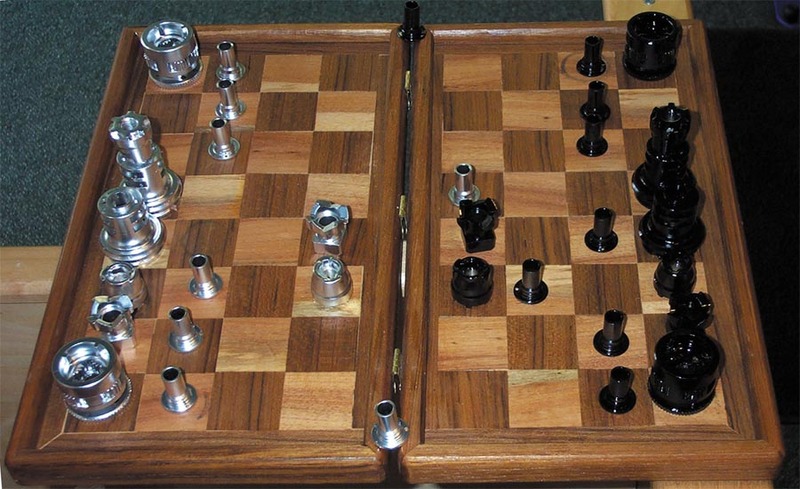 but with modern components and ideas. 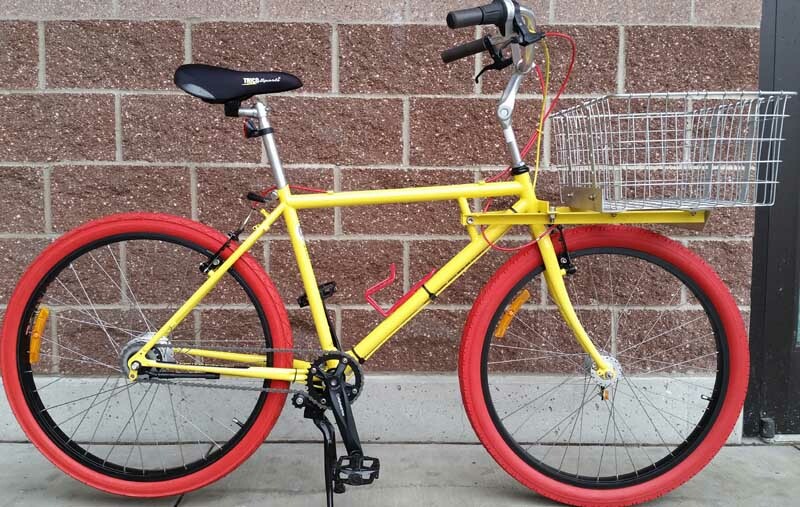 Perfect bike for a delivery business or grocery shopping. Bike basket mount was designed and welded by CycleFAB a local Georgetown bicycle focused machine shop. 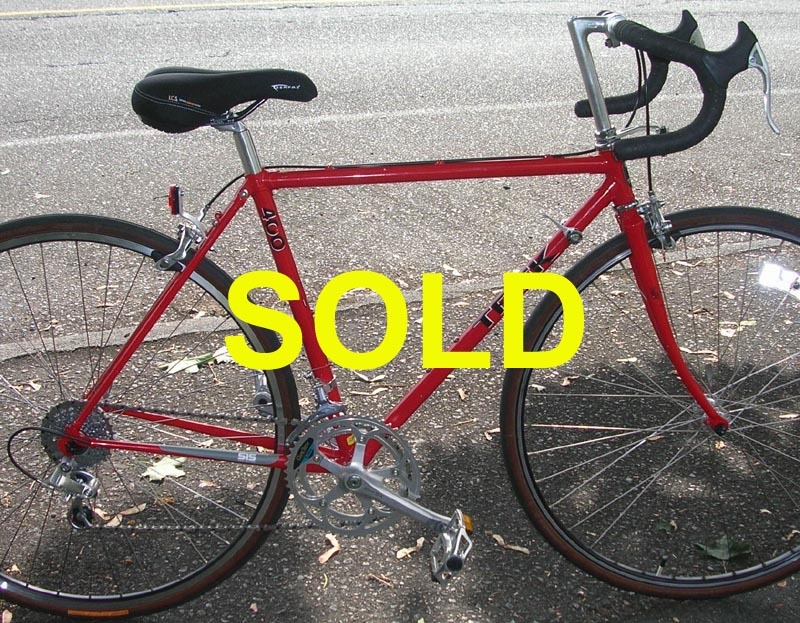 This is for all intents and purposes, a Brand new bike. It has Origin8 Space swept back handlebars. A very comfortable position. 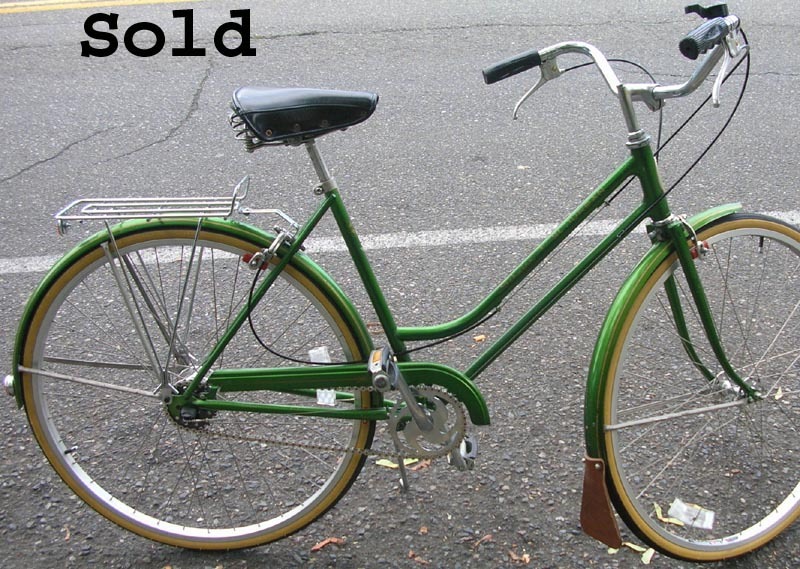 This bike is perfect for a regular size gal or vertically challenged guy. 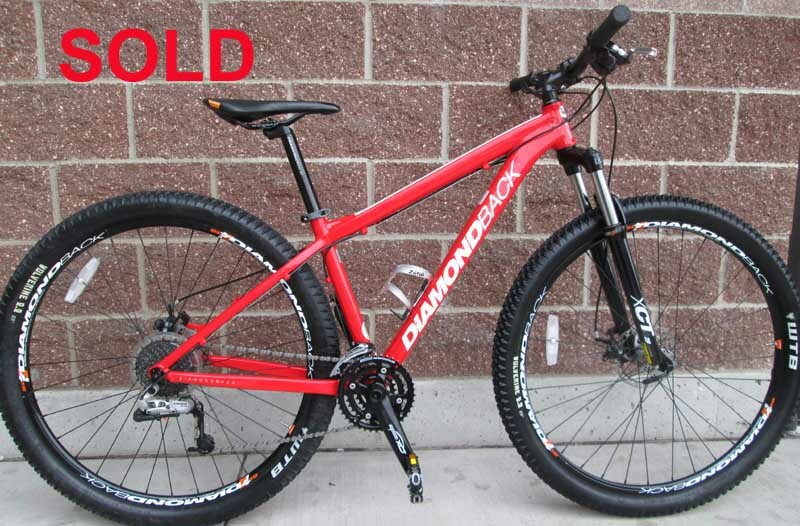 All new parts, chromoly frame, Lugs! 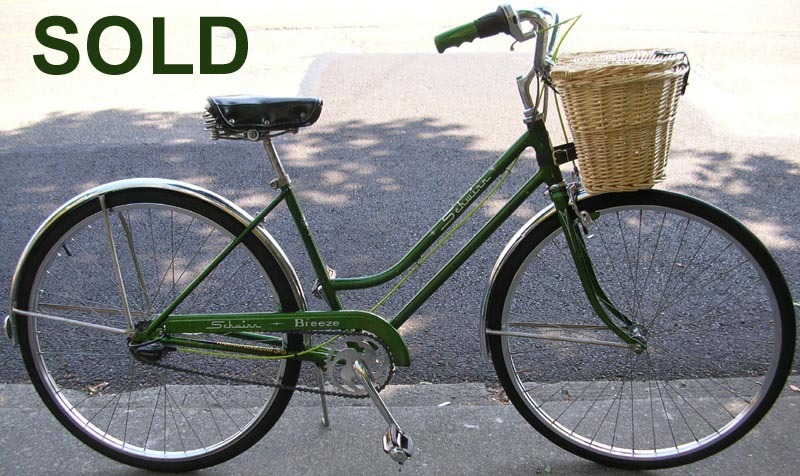 We use this bike as a test bed to sell things we like that are comfortable, quality, sensible, durable and low maintenance. 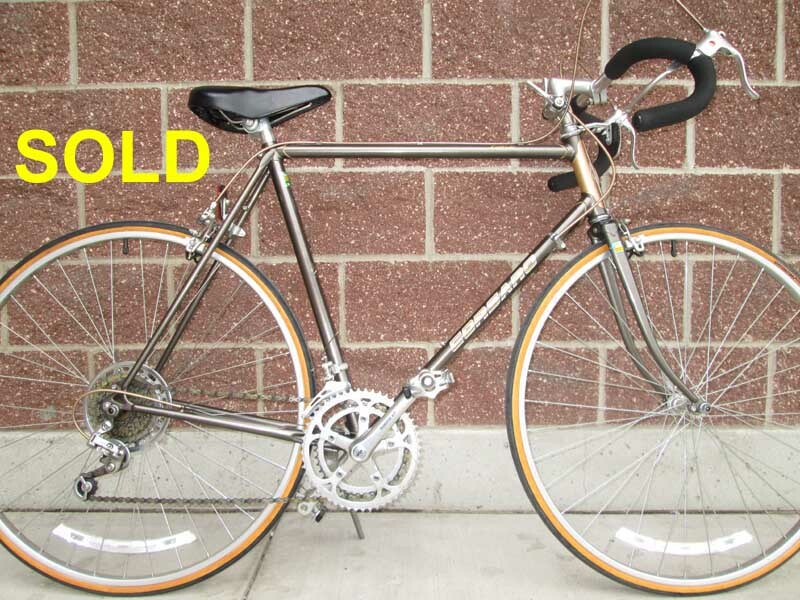 Things like 26 x 1 3/8" (650A) wheels, Brooks saddles, platform pedals with steel traction pins and drum brakes. 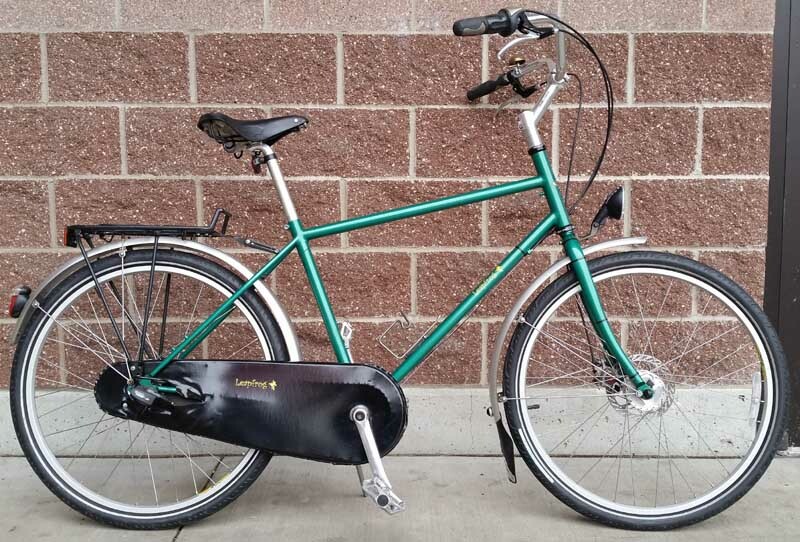 This bike has a 1X drivetrain and a hydraulic drum brake! New tires, inner tubes, cables & housing, pedals, brake pads, grips & rear hub. All bearings have been overhauled. Bike has been converted from cheap derailleurs to a reliable internally geared 7 speed rear hub. 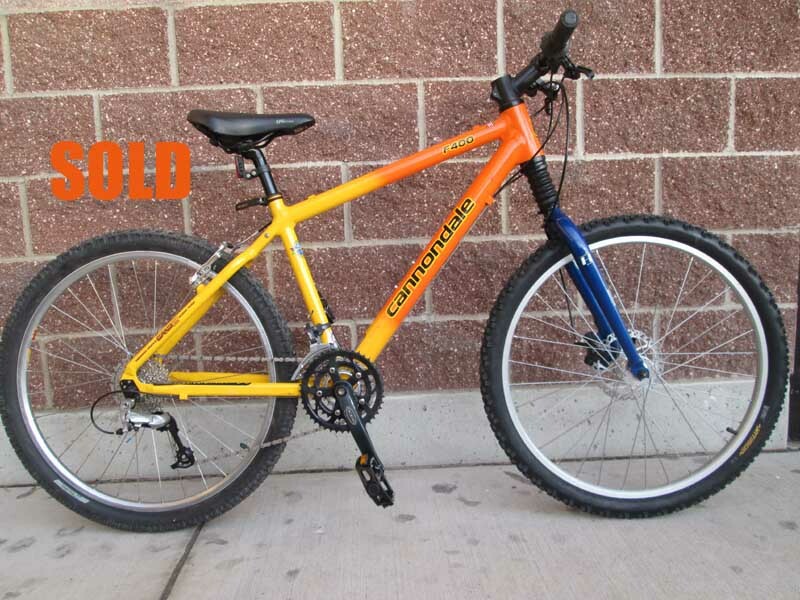 Awesome Steel 1990s Mountain Bike. 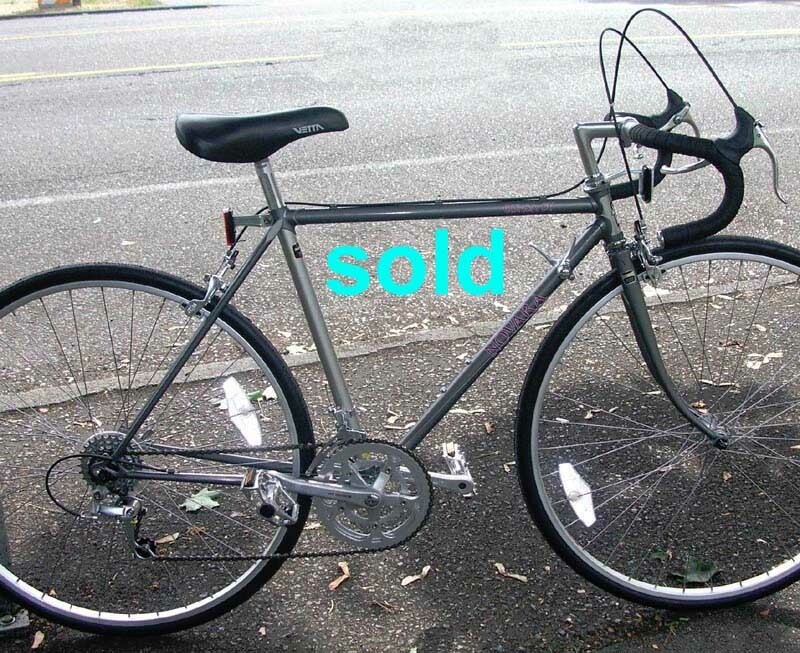 New fork, cables & housing, brake levers, grips, pedals, shifters, chain and cassette. New Brakes and Mag Wheels! New Grips. This abandoned repair is perfect for a kid 8-10 years old. 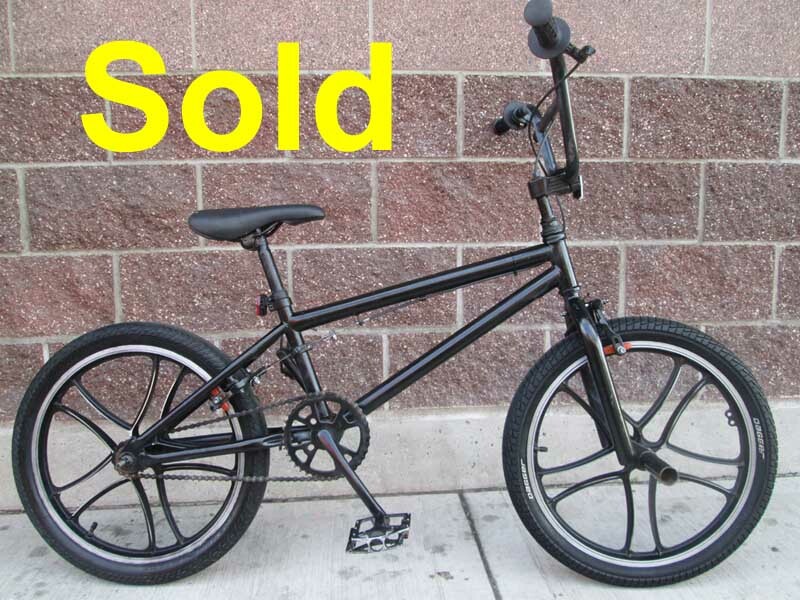 This is a GREAT bike! 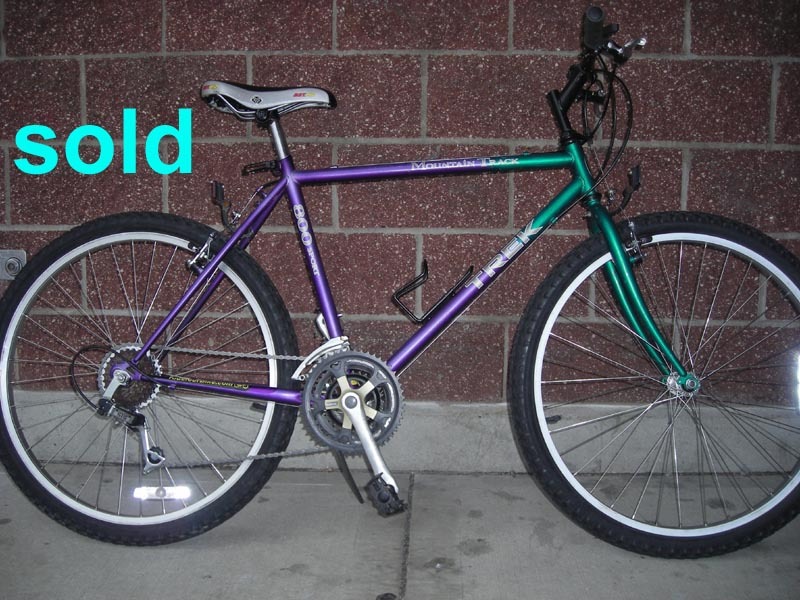 Aluminum bonded frame, Wishbone-Loop tail rear stays, Color is Blurple! 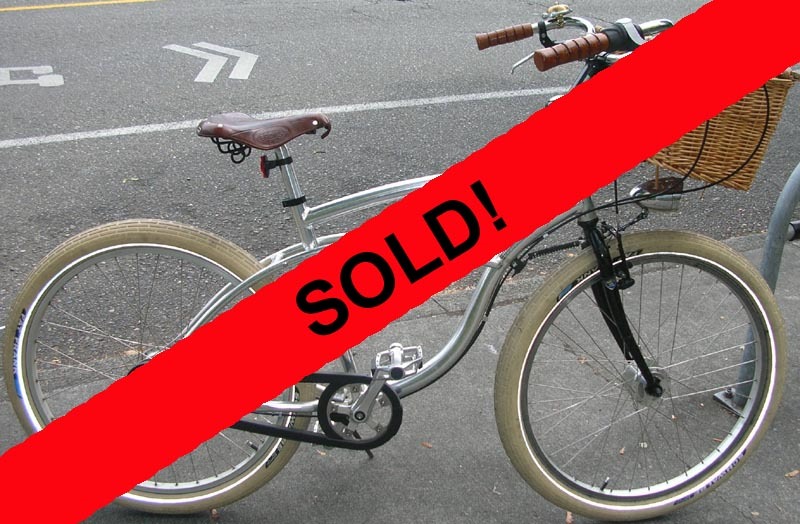 THE FOLLOWING BIKES HAVE ALL BEEN SOLD. Modern, Entry Level 29er MTB. Full Tune-Up by Aaron's Master Mechanics. 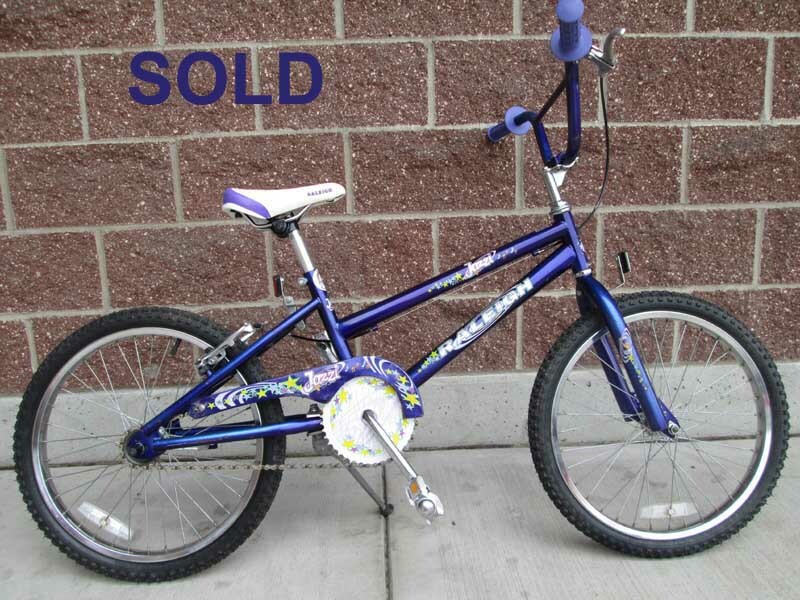 Below is what the bike looked like before. 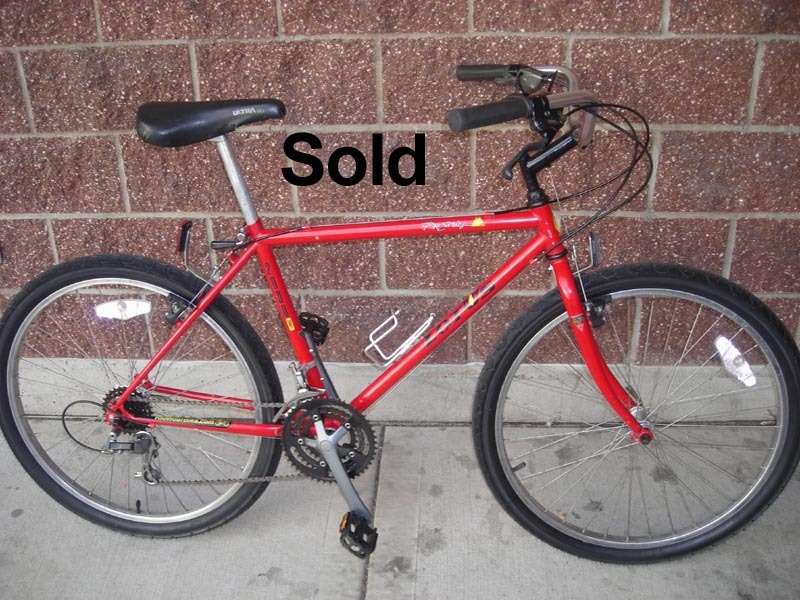 This is a our least expensive bike. Great Deal! New brake levers, brake pads, chainrings, chain, freewheel, grips and seat. All bearings have been overhauled, cables are new. Wheels were upgraded in the past to Specialized cartridge bearing hubs. Amazingly smooth and durable! All bearings have been overhauled, cable is new. 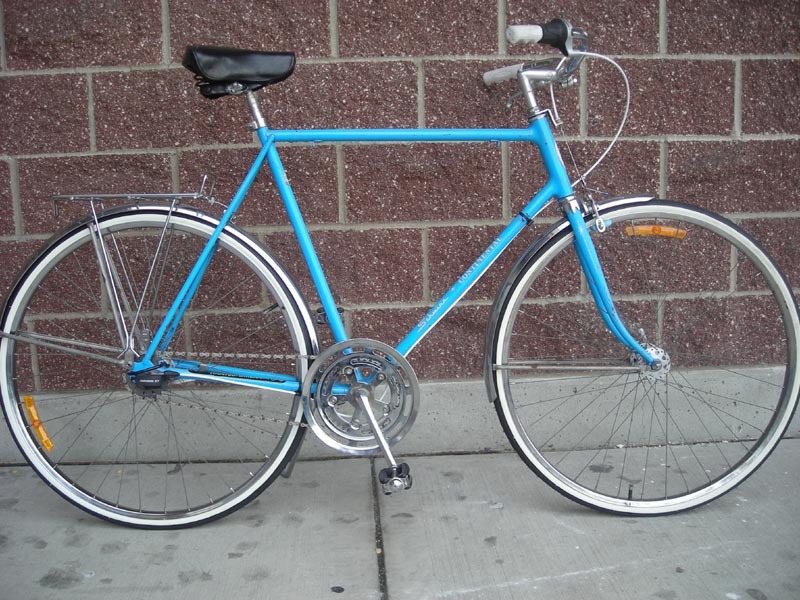 New tires, inner tubes, rims, hubs, spokes,cables & housing, pedals, brake pads & grips. 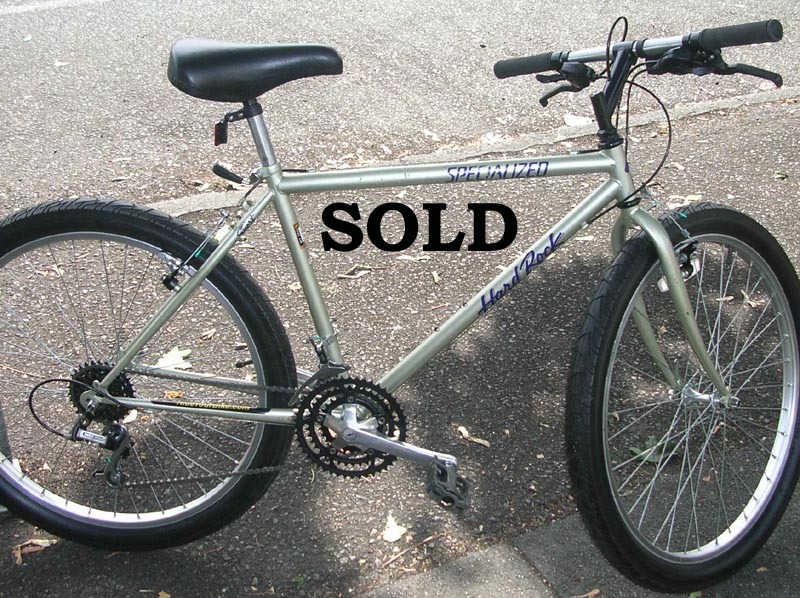 Bike has been converted from heavy steel rims to aluminum with an internally geared 7 speed rear hub and generator front hub. Bike is ready to install the lighting of your choice. 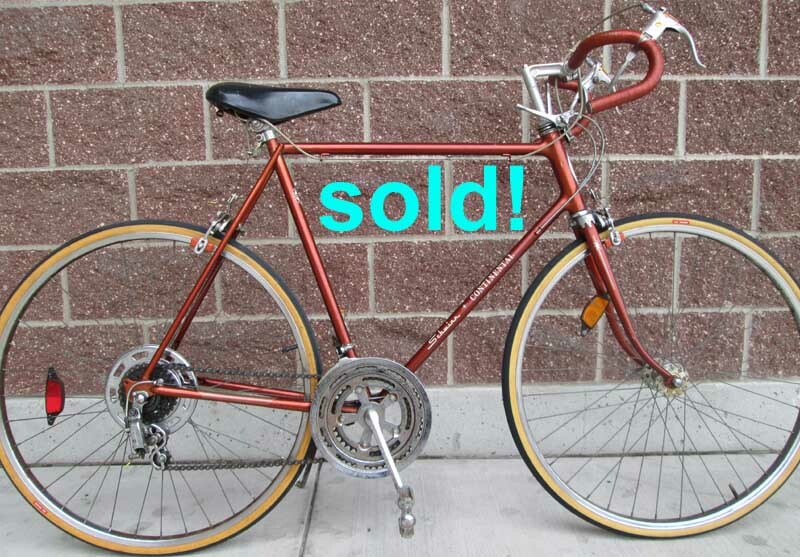 Will make an excellent city bike with style! Completely rebuilt with another overhauled fork (orinal was not repairable). All bearings have been overhauled. All cables new. New Fork, Headset and Shifters. All bearings have been overhauled, all other parts stock. Consignment. Hardly ever ridden, excellent shape! 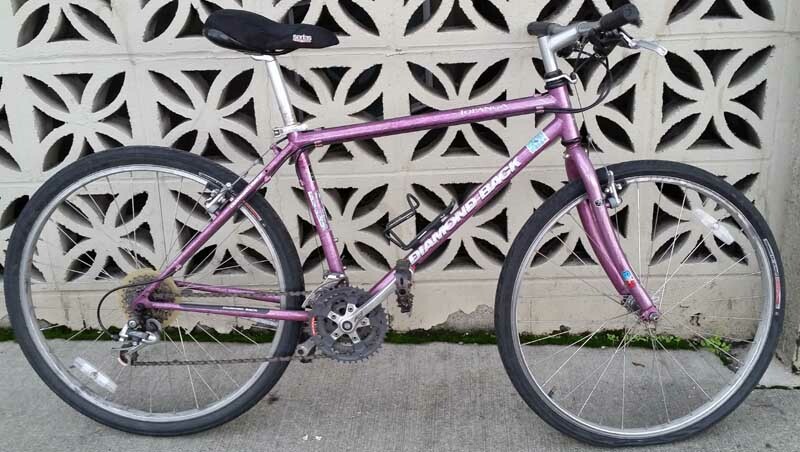 Late '80s Mountain Bike converted to City. New tires, cables & housing, handlebars, bearings, chain, & bottom bracket. Checked over and test ridden, tires are very new! 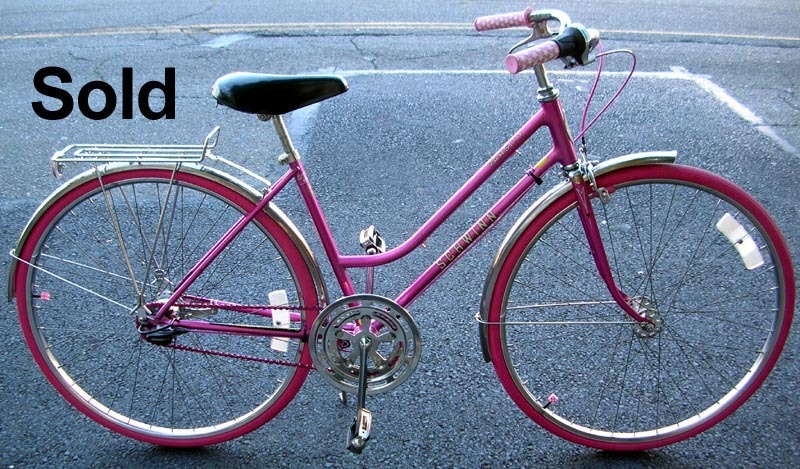 New PINK tires, fenders, rear rack, cables, handlebars, grips, bearings, rear hub, chain, sprocket & brake pads. All bearings have been overhauled and the rear wheel has been rebuilt with a SRAM 7 speed Coaster Brake hub. 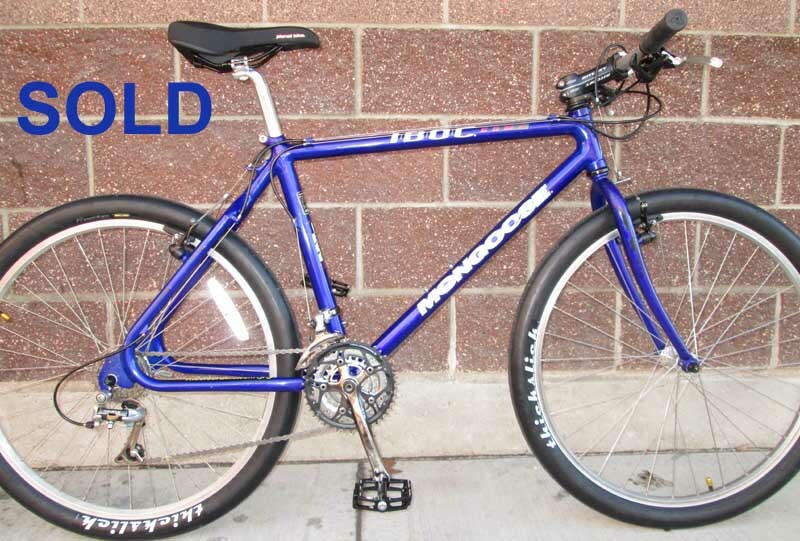 Custom gear range for Seattle's hills: 39T front chainring & 24T rear sprocket. 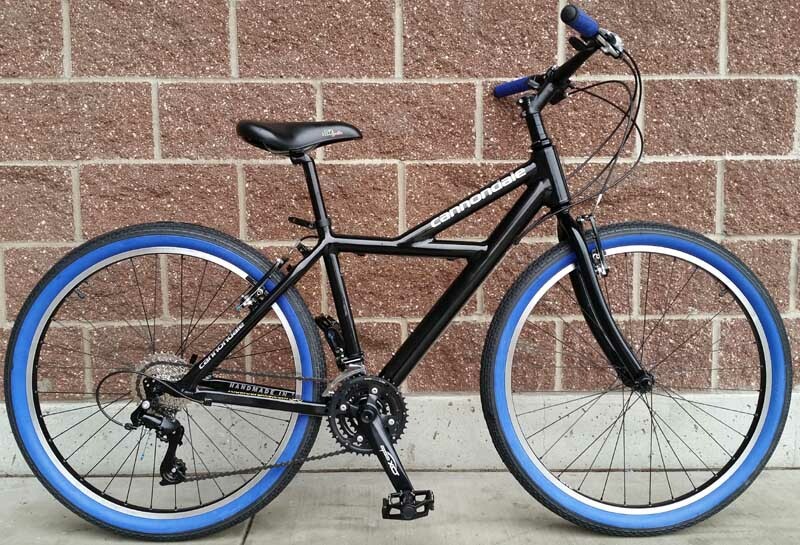 New BLUE tires, cables, grips, bearings, rear hub, chain, chainring, bottom bracket, sprocket & brake pads. 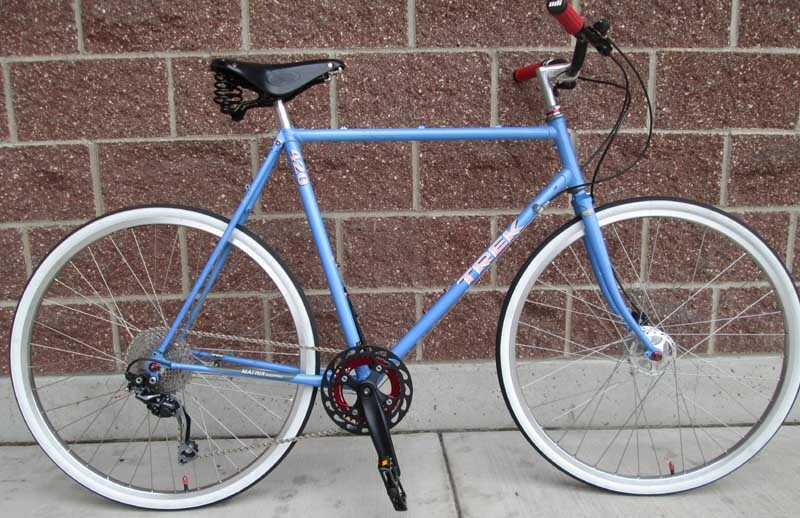 Custom gear range for Seattle's hills: 36T front chainring & 24T rear sprocket. New cables, grips, bearings, rear hub, chain, chainring, sprocket & brake pads. Mix of new and used parts, fully overhauled, like new! 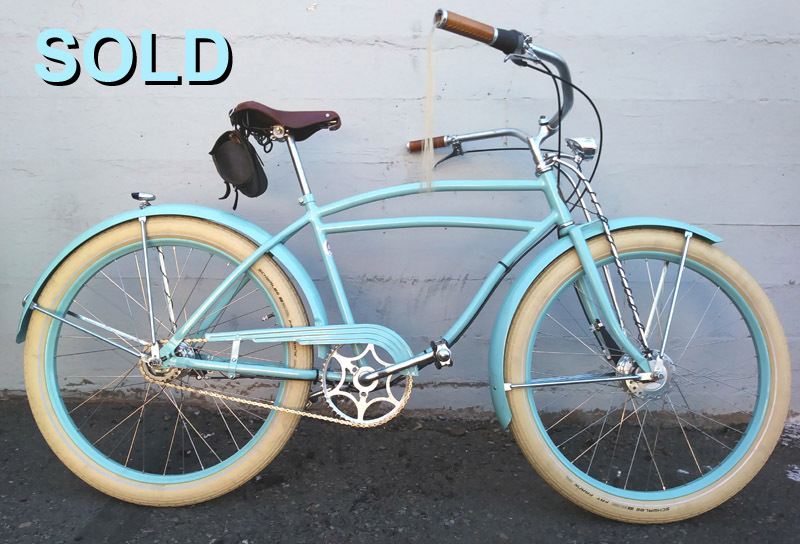 Upright position, oversized aluminum frame and 48 spoke tandem rear wheel are perfect for a stout rider of 300 pounds plus! 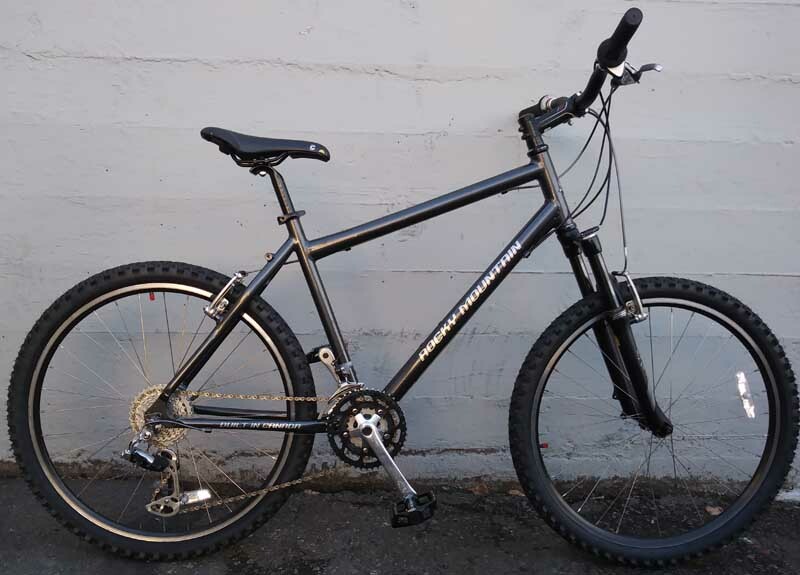 New Tires, Custom 48 Spoke Rear Wheel, Front Rim & Spokes on Rebuilt Hub, Shifer, Seatpost, Chain, Crankset, Chain, Pedals, Headset, Crank Bearing (BB), Handlebars and Stem. Single shifter for both front and rear gear changers. Easy to use! 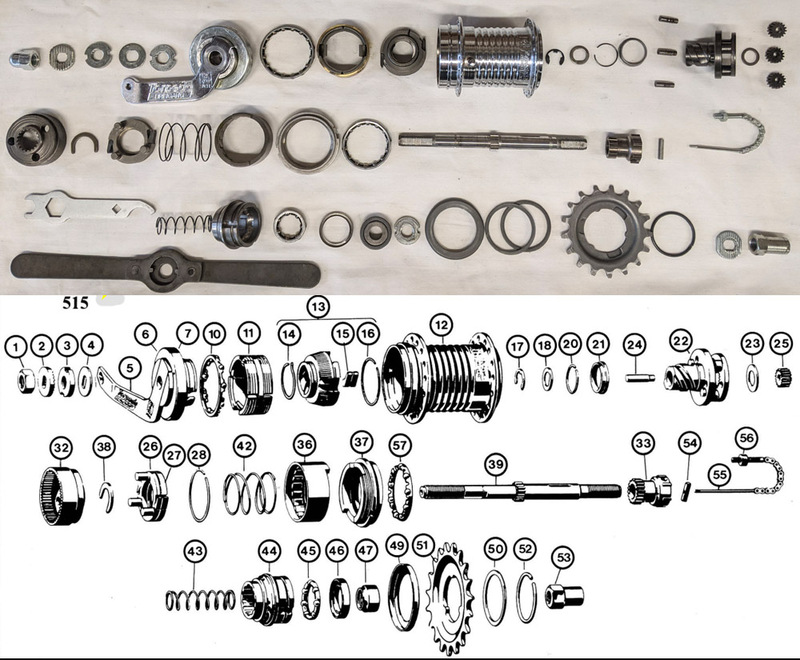 All bearings have been overhauled, new parts include: chaincase, rack, bungie, skirt guard, grips, front light & a rear 24 tooth cog for Seattle's hills. 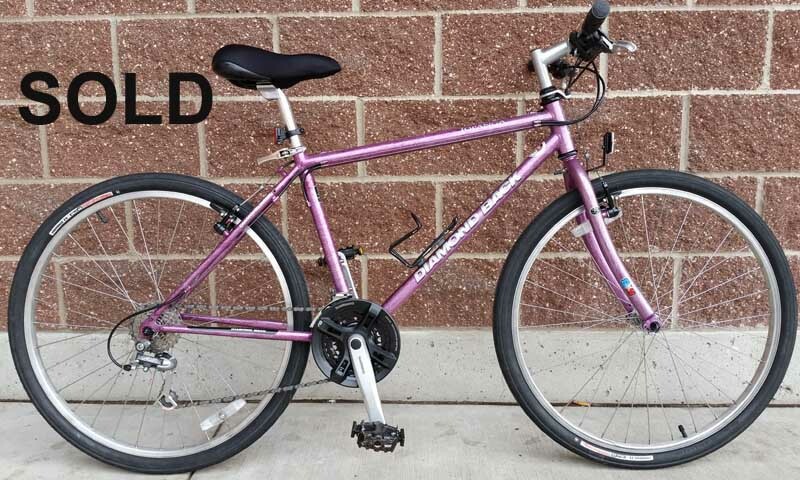 THIS BIKE HAS BEEN MODIFIED WITH A TALLER STEM THAN PICTURED. THE TALLEST PERSON YOU KNOW CAN RIDE IT! Rear hub is a Sachs Torpedo 515 Three Speed. Here is our overhaul picture. 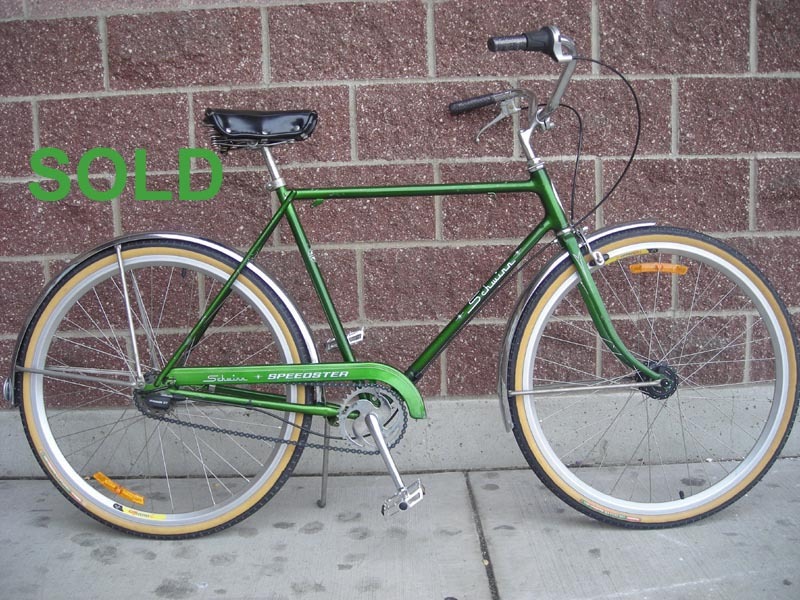 The only thing missing from this bike is a bell! Brass or chrome? 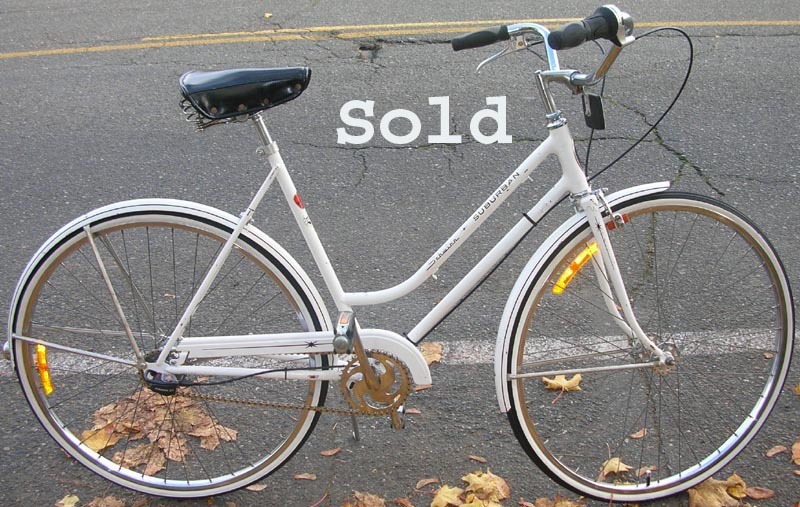 New white wall tires, tubes, cables, grips, bearings, rear hub, chain, chainring, sprocket, & brake pads. All bearings have been overhauled and the rear wheel has been rebuiltwith a SRAM 7 speed Coaster Brake hub. 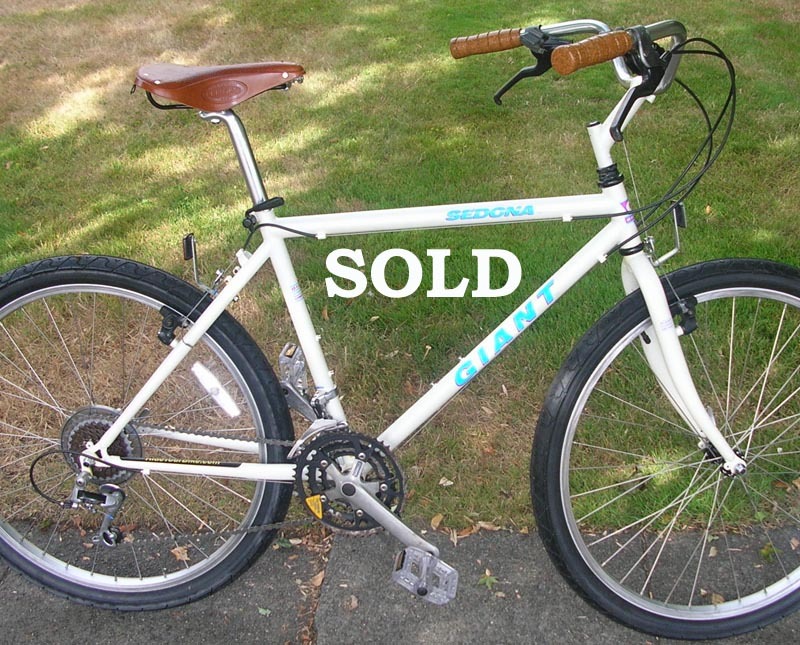 Custom gear range for Seattle's hills: 36T front chainring, 24T rear sprocket. New tires, cables, grips, bearings, rear hub, chain, chainring, sprocket, & brake pads. All bearings have been overhauled and the rear wheel has been rebuilt with a SRAM 5 speed Coaster Brake hub. New tires, cables, seat, seatpost, grips & handlebars. The headset has been overhauled and the crank bearing replaced. New tires, tubes, cables, housing, chain, pedals, quick releases & handlebar tape. 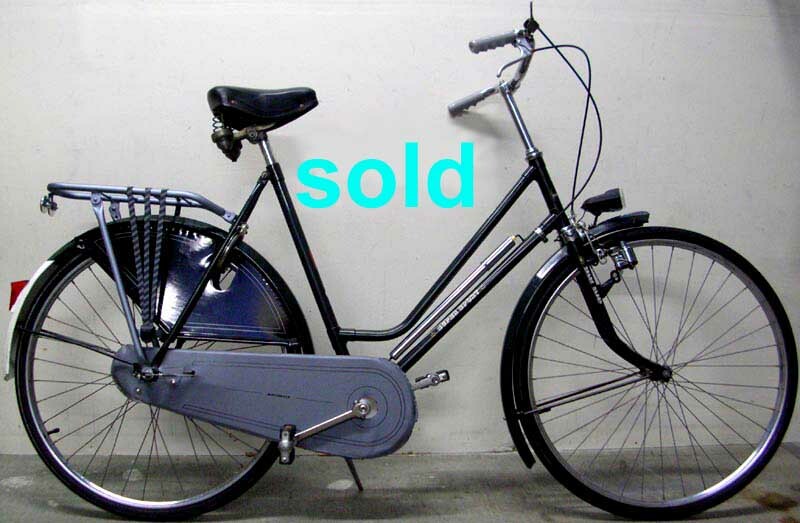 *stylish curved top tube is rare! 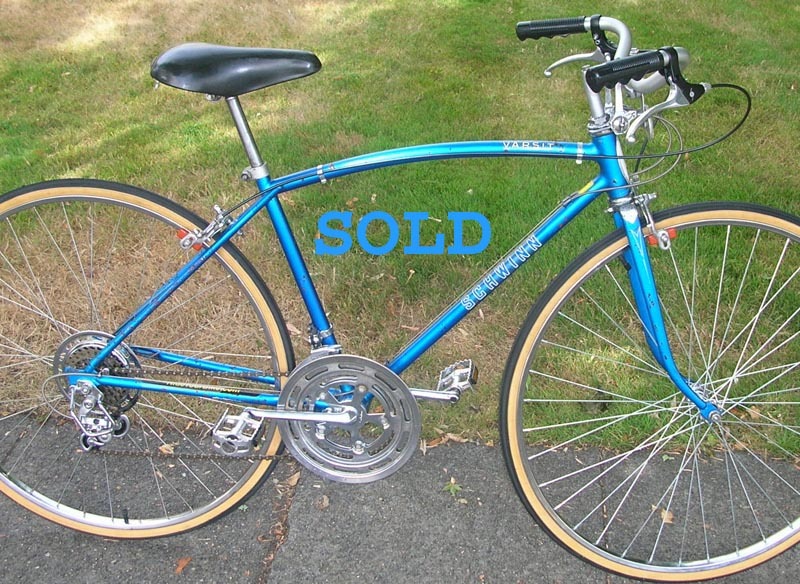 New front wheel, tires, tubes, pedals, brake levers, brake pads, chain & grips. New tires, cables & brake pads. Completely Overhauled with new ball bearings and a new crank bearing. New tires, cables, brake pads & grips. Fully Overhaulled, all bearing races in great shape with all new ball bearings. 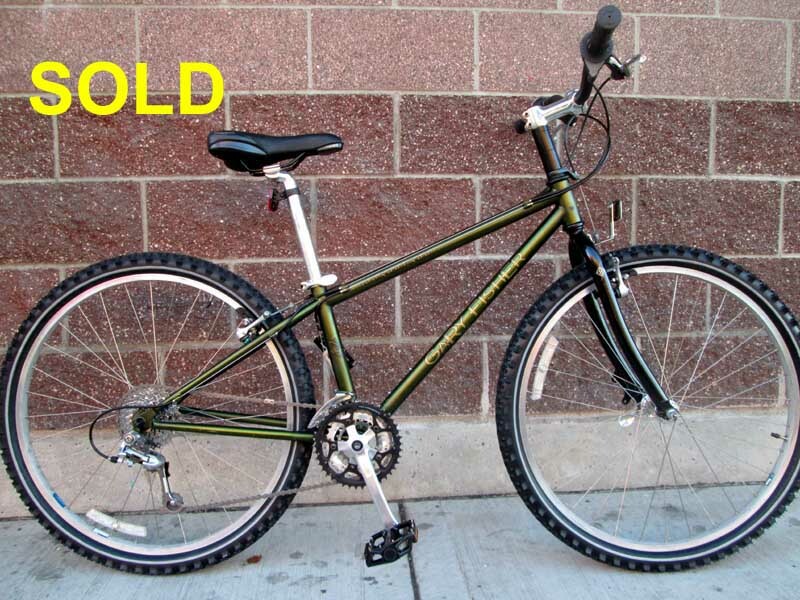 This (unused, never ridden) bike is in great shape! Only minor adjustments and lubing have been done. Upgraded with new IRC tires for a more comfortable ride. New brake pads and bearings. 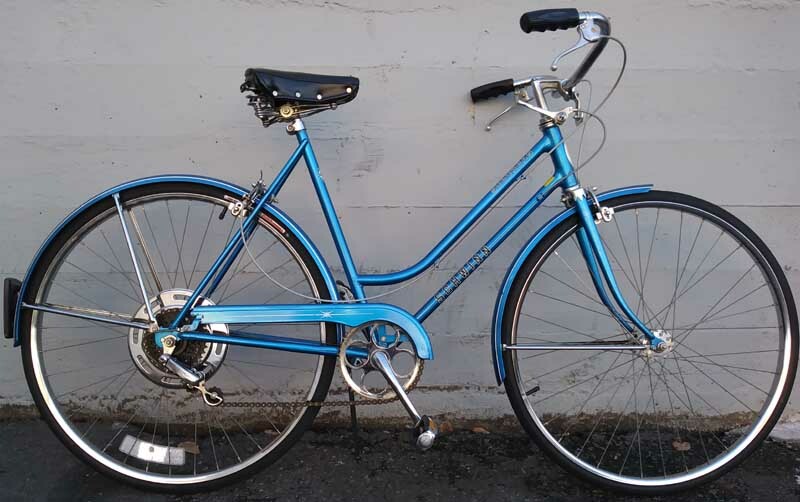 Drivetrain is brand new with a Sturmey Archer 5-Speed rear hub & custom low gears for Seattle's hills! Again, every bike above has been Tuned and lubed and is ready to go. These are NOT lemons! No work is needed. READY TO RIDE! 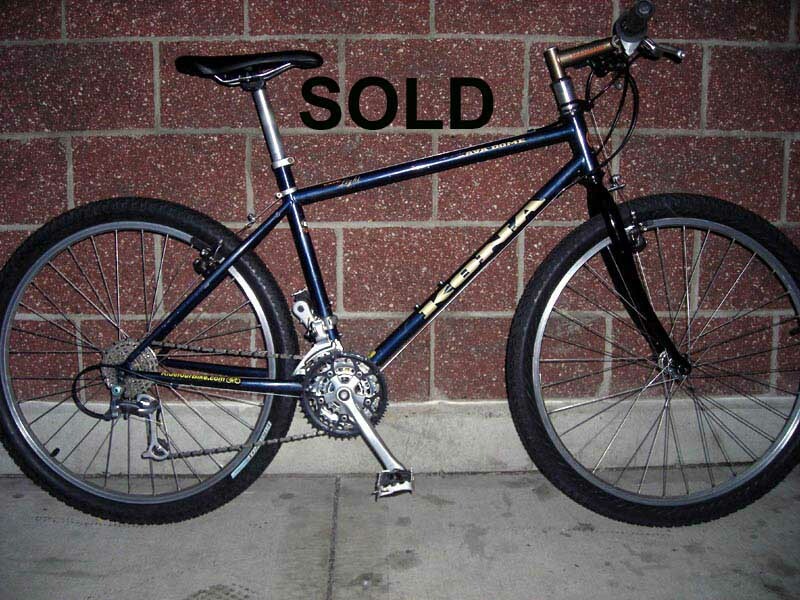 A word about stolen bikes: By Seattle city law, any shop that buys a bike from an individual for resale is considered a Used Goods Dealer and must have a used goods license ($130 per year). You can ask to see their Seattle Business License (it should be displayed prominently). 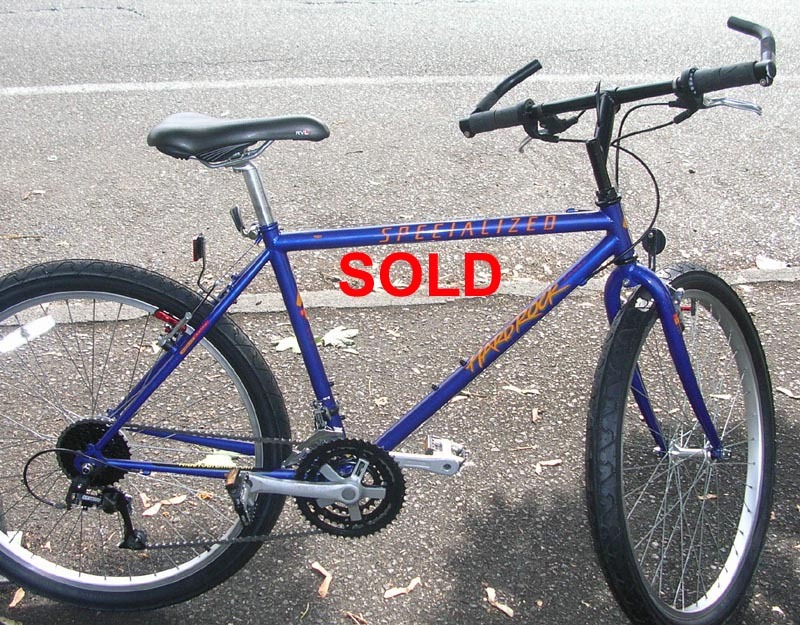 They should have records of who they purchased the bike from and a copy of their ID on file. 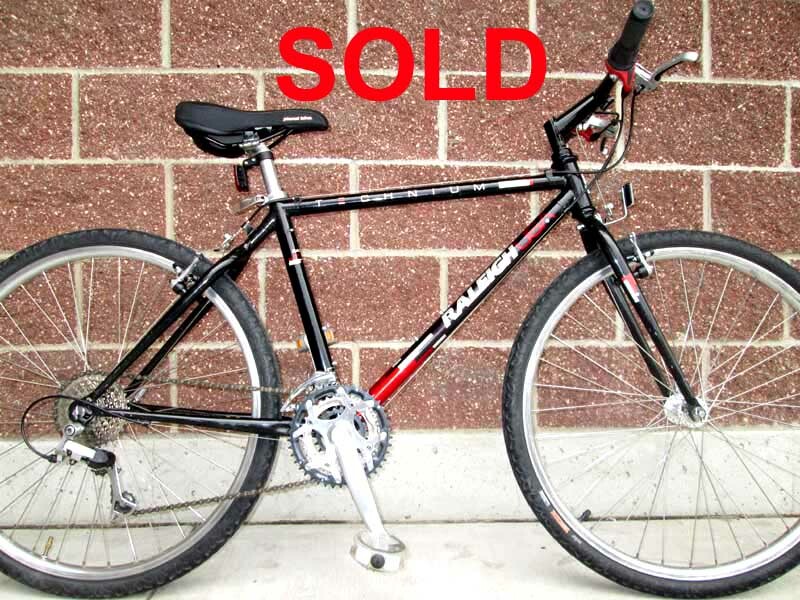 If you find your bike at a shop and you still have your original purchase reciept and the serial number AND you filled out a police report when your bike was stolen, then your should be able to get your bike back. 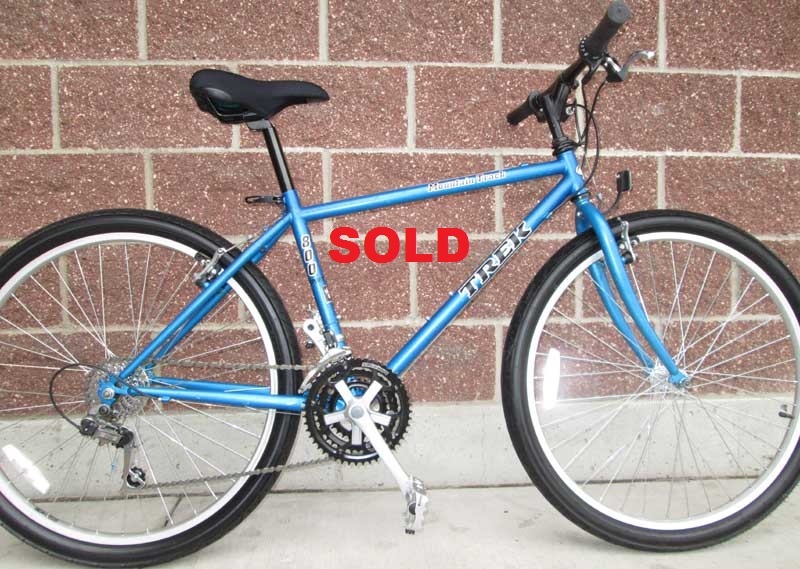 Aaron's Bicycle Repair, Inc. does not buy used bikes that folks bring in to us. 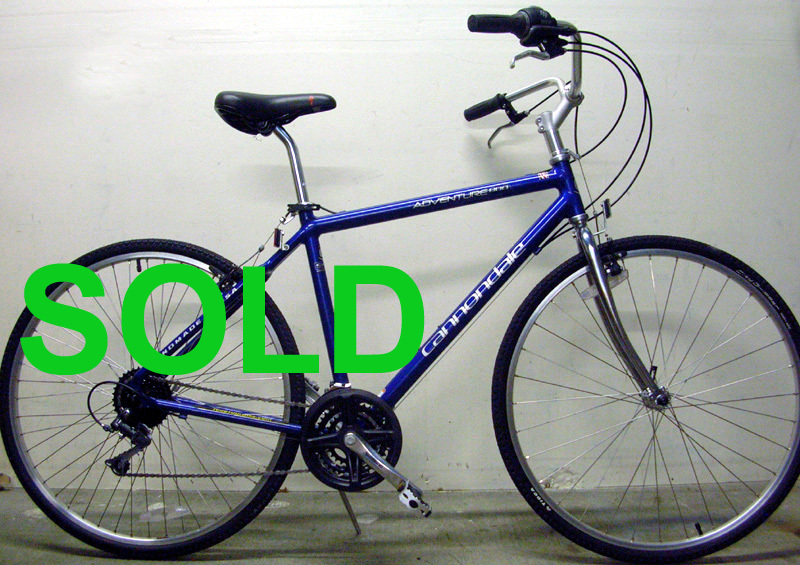 All of the used bikes we sell have been purchased at garage sales, thrift stores, or donated to us.